It’s a bit difficult to estimate the size of the Tesla coil from this picture, but look closely at the hand rail on the red-orange wall to the left and that helps. The 10-foot tall musical Tesla Coil project has been on-going for about two years. But the team at X-Labs — a hackerspace affiliated with the University of South Florida — finished it just in time for the University’s engineering expo later in the month. There’s some information about it to be found in the recent student newspaper article on the project. A lot more build details are found on the groups website, although that post is quite old. You can’t call it a musical coil unless there’s a demo video, and that can be seen after the jump. 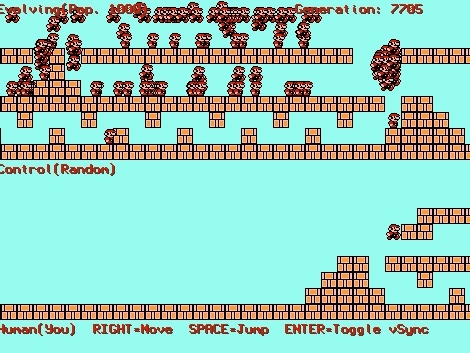 What better to test the thing than by playing the Super Mario Bros. theme? We’re actually more partial to the Imperial March (it’s also fun to hear played on stepper motors). [Alan] was unimpressed by the cheap ticking egg timers that grace many of our kitchens. He decided this was an execllent opportunity to ply his skills with microcontrollers. He built this kitchen timer complete with an enclosure and audible alarm. The device is Arduino based, which makes driving the graphic LCD quite easy thanks the libraries associated with that platform. As you can see above, his user interface makes use of virtual buttons – three tactile switches whose function is listed at the top of the display. But we think the alarm sound really earns this a place in his kitchen. He used the same hardware as that that Super Mario Bros. Toilet project to play classic video game sounds when your soufflé needs come out of the oven. We haven’t come across them ourselves, but apparently there’s a line of key chains for sale in Japan (yes, we need to plan a trip there!) that have the tunes programmed into them. They’re easy to crack open and it beats dealing with a speaker and amp circuit. If you’re interested in using your smart phone for some photography, [Mike] has a nice wood and elastic mount for an iPhone which you might try yourself. 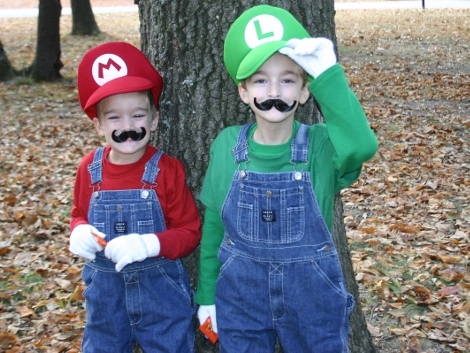 Creativity abounds in putting together this pair of Super Mario Bros. costumes. [Rob] and his wife didn’t stop with a well-assembled troupe of familiar wardrobe items, but decided to go for authentic sound effects as well. It started by finding a few of his favorite Mario sounds on the Internet. From there he grabbed a greeting card that allows you to record several message. He recorded each of the sounds and removed the electronics from the card. From there an Arduino mini was connected to the playback buttons and to a Wii nunchuck. After the break you can see that when the kids press a button, the card plays back the sound of jumping, shooting fireballs, etc. So far it’s the best use of an audio greeting card that we think eclipses its intended use. [Jed] from Toronto’s hackerspace HackLab.TO coded the theme from Super Mario Bros. for their laser cutter. He’s posted the ruby code that generates the g-code from a simple tablature.